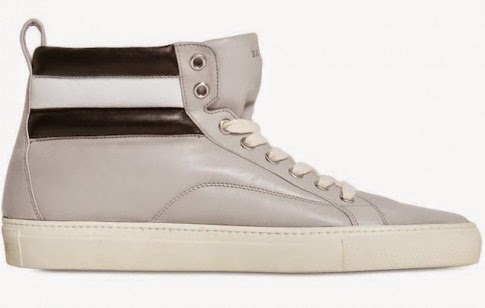 Glowy: Ben Affleck In Bally Leather High-Top Sneakers. 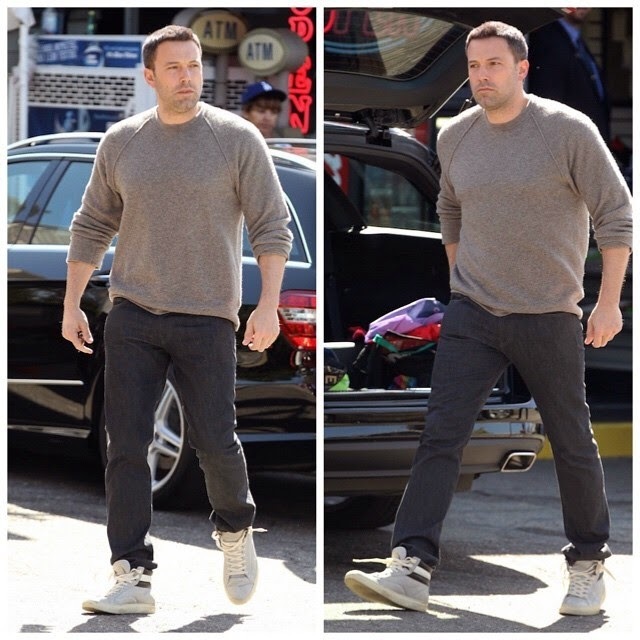 Ben Affleck In Bally Leather High-Top Sneakers. Ben Affleck looked casual as she was seen at a gas station on Monday April 6 in Brentwood, California. The hunky batman actor wore a grey colored sweatshirt on a black trousers and then finished up with a Bally Leather High-Top Sneakers that features a cream colored leather, lace up.high top neck,black and white strap and a white rubber sole. You can check out other bally styles on him here.